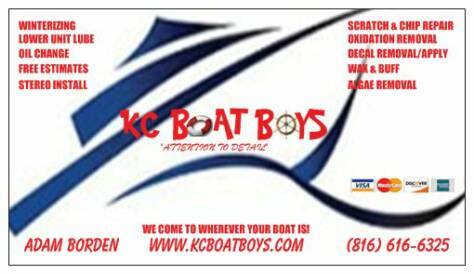 KC Boat Boys: Complete boat care service. "Pride in attention to detail." If you have a special request, just ask. More than likely we will be able to take care of you. Also specializing in deck and dock restoration.